Multihulls Direct was created out of a relationship between the late Ian Farrier and Michael Mallory to exclusively produce true Farrier designs. Michael Mallory is a builder and multihull enthusiast that initially moved to the Philippines from Hawaii in 2006. 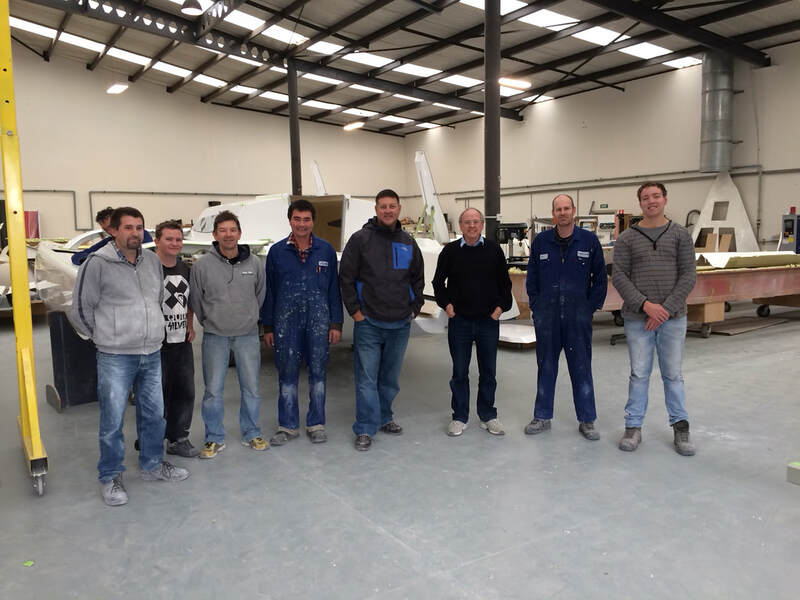 He built and launched the first Farrier F-44SC and Farrier F-85SR, soon met with Ian Farrier and starting an operation in Subic Bay, Philippines and Multihulls Direct was born. The Multihulls Direct team have built and delivered more than 50 Farrier designs including the F-22, F-33, F-82, F-32, F-85SR, F44SC and F-45. Arthur Inns, Part-timer, Craig Johnstone, John McCormack, Michael Mallory, Ian Farrier, Phil Fowler, Part-timer. We worked closely together for more than 5 years introducing the new production ﻿F﻿﻿-33 and F-45 as well as the F-22, Ian was ﻿a great influence and mentor. F-27 was designed. After building the initial prototype, he developed and created the entire production systems and quality control guidelines for Corsair. Over one hundred boats were produced annually, and the reputation began to grow. After his tremendous success, and with a desire to focus on new designs, he resigned from Corsair to pursue a new line of Farriers. In 1991 he relocated to Bellevue in the Seattle area, maintaining a relationship with Corsair. He subsequently designed the F-24, F-28 and designed the F-24, F-28 and F-31, licensing Corsair to build these new boats. By the end of 2000, Ian had ceased relations with Corsair, and began exclusively focusing on Farrier Marine.